Why is this walkthrough useful? you can preview the curriculum.It's accessible even when internet connection is poor. It's a text-based way to learn java　if you don't like video instructions. What is programming? : An useful explanation using analogies. Java (section title) : why learn java because it is a very popular language, mostly simple, safe - will give students helpful and obvious errors. Useful for web, image processing even android development. Download the course code (lesson title): link to zip file. Assignment is to look for a secret code in one of the text files. Hello, Udacity! 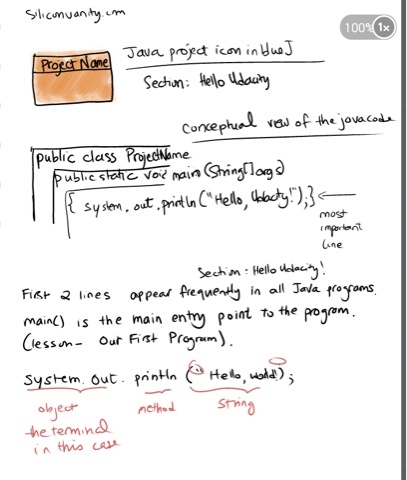 (less on title):create a project in blue J with the help of starter code.Modify the println code Hit the compile button. Right click the orange boxthat represents the project.Select main () method in dropdown and run it. 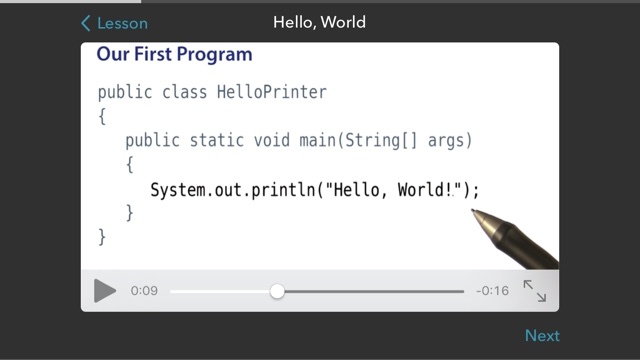 to print out Hello on a line andworld on another.Udacity will show you how. Our First Program (lesson title): It's possible to twig a program without understanding every detail. Breaks down the System.out.println("Hello, world! "); into object, method and a string. print and println (lesson title): difference between ps that print moves the cursor to the end of the printed result, println() move the cursor to one line below the result. It is tricky. Some of them were feeling very difficult to learn programming language. Once they are familiar with programming language they decided to learn the language in a simple way. Hello everyone, my name is John and I wanna say thanks for this very useful guide! I started to learn Java only few month ago, but I presume that I already have some success in it! Also I often read how to create a thread in java https://explainjava.com/java-thread/ here, it helps me so much as well. Those guidelines additionally worked to become a good way to recognize that other people online have the identical fervor like mine to grasp great deal more around this condition.